For most people, becoming a tried and true vapor smoker isn't something that happens overnight. Typically, there is a transition period—both mentally and physicallly—when switching from analog tobacco cigarettes to a smoking alternative like digital e-cigs. Mentally, you have to get used to a new habit that involves recharging batteries, replacing or refilling cartridges, as well as being able to vape when and where you want. Physically, you will undoubtedly experience changes in your body as it grows accustomed to the absence of the harmful toxins in cigarette smoke. #1. The first week is the hardest. Most beginning vapor smokers find that the first week or two is the most difficult period during their transition to digital cigs. It is during this time that you may experience symptoms of withdrawal from the amount of nicotine and harmful toxins found in traditional cigarettes. The effects of tobacco withdrawal are widely studied, and the good news is that all of these symptoms should dissipate quickly. You should consult your doctor if any symptoms persist. Our advice on how to get through this period is to stay strong and keep reminding yourself of all the reasons why you are giving digital smoking a try in the first place. For some people, it helps to make a list of all these reasons and post it somewhere they will see it often (for example, on a mirror, the refrigerator door, or on the front of their traditional cigarette pack). #2. Take it at your own pace. Transitioning to digital cigarettes isn't a race. While some users certainly prefer to make a full switch all at once, that may not be you – and that's totally okay! Set your own timeline according to your individual smoking habits, goals and life pattern. For instance, if your final aim is to switch to digital cigs completely, do it gradually or at whatever pace is comfortable for you. If you'd rather keep smoking analog cigs and use digital cigarettes as an occasional substitute, that is your prerogative. Don't let anyone tell you how you should or shouldn't vape, or how fast you should make the transition. #3. Choose an appropriate nicotine strength. It isn't necessarily a good idea to go from strong nicotine content cigarettes, like Kools or Marlboro Reds for instance, to a low or no-nicotine alternative. Rather, consider starting out your digital cigs with a nicotine strength that is comparable to the analog cigarettes you're used to, and then go from there. This should also help minimize some of the symptoms you may experience in the beginning. Cruise over to our Article Library to learn more about getting your e-cigarette nicotine strength just right. While even the basic electronic devices that come in most e-cig starter kits are a drastic improvement over analog cigarettes, some first-time users have a hard time getting used to having to recharge their e-cig battery and refill or replace the cartridge frequently. Also, sometimes digital models won't have the desired throat hit or potency that a smoker craves. If you run into this problem, you might consider upgrading to a more advanced device that offers greater customization. For starters, take a minute to check out our digital cigarette starter kits. 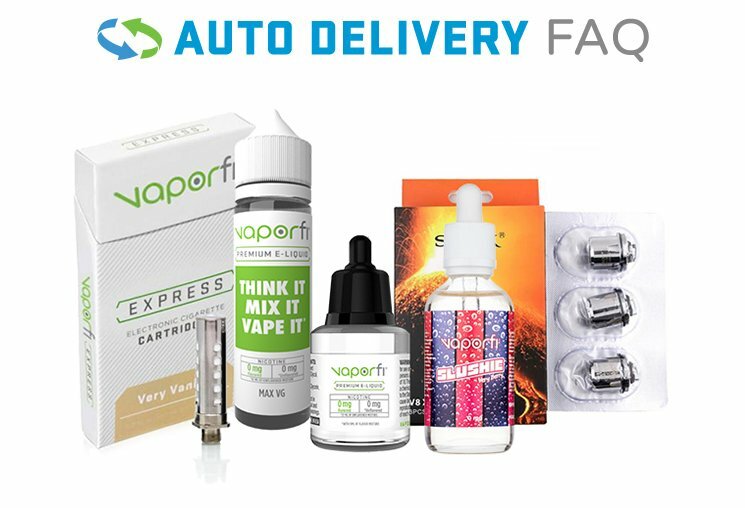 VaporFi's 6 different, fully equipped kits cater to the advanced user seeking a higher level of vapor smoking, as well as give beginners access to top quality vaping gear. Lastly, remember to reward yourself for victories, both big and small. When you achieve one of your goals, treat yourself to something nice—a new video game or movie, those shoes you've been eyeing at the store, the latest gadget, whatever appeals to you. It doesn't matter what the reward is, as long as it is something you are willing to work hard for to get. This goes along with the other general rule to follow: "Don't be too hard on yourself." At times, switching to digital cigs may seem difficult and your craving for your old analog cigarettes may be strong. But take comfort in the fact that once you make it through this brief transition period, you'll be a tried and true vapor smoker!